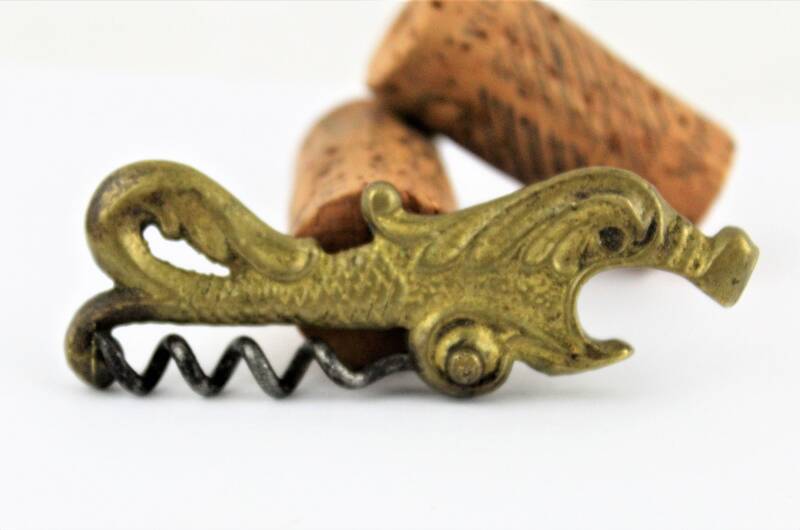 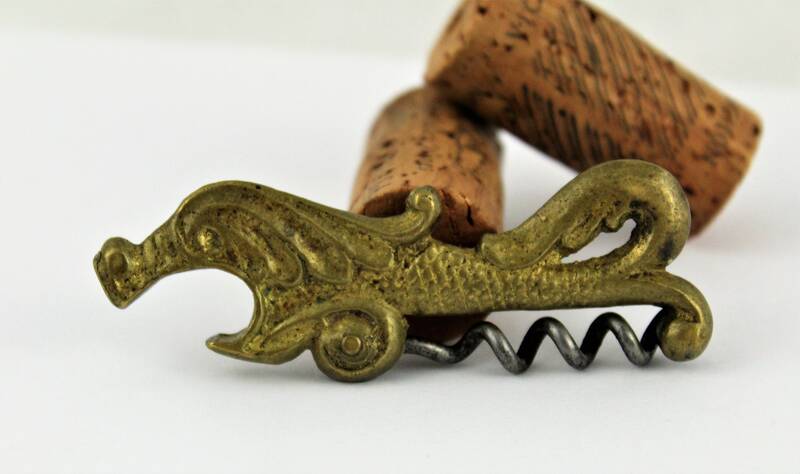 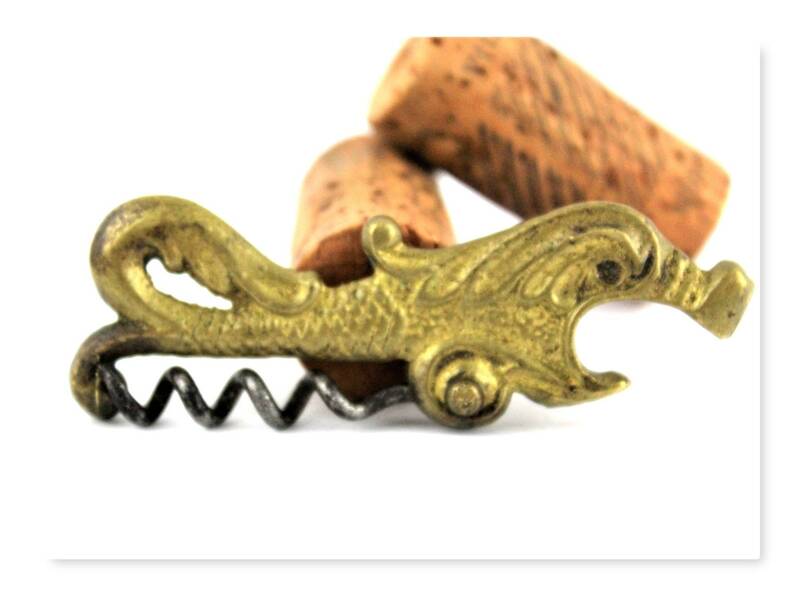 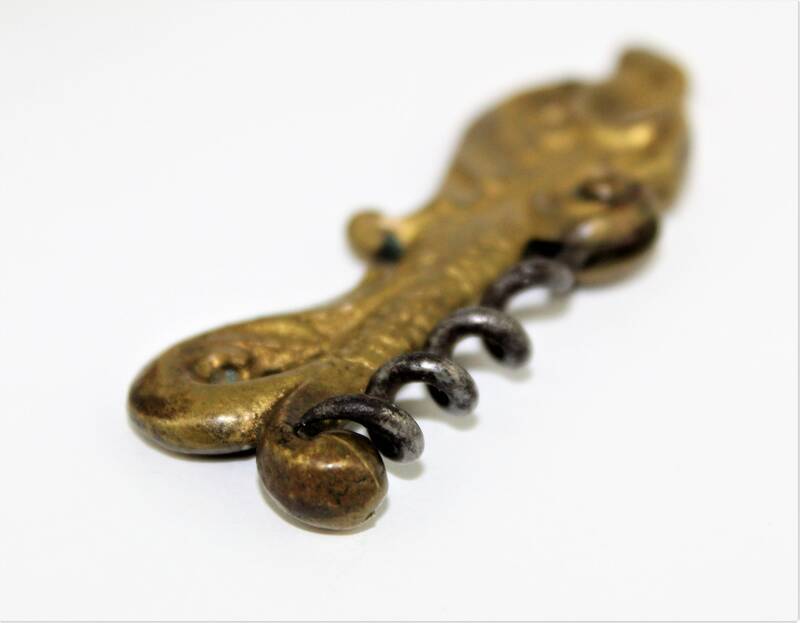 Wonderful find this 1920s brass corkscrew shaped as a Sea Serpent the corkscrew folds up and locks in place on the tail the serpent mouth is a cap lifter. 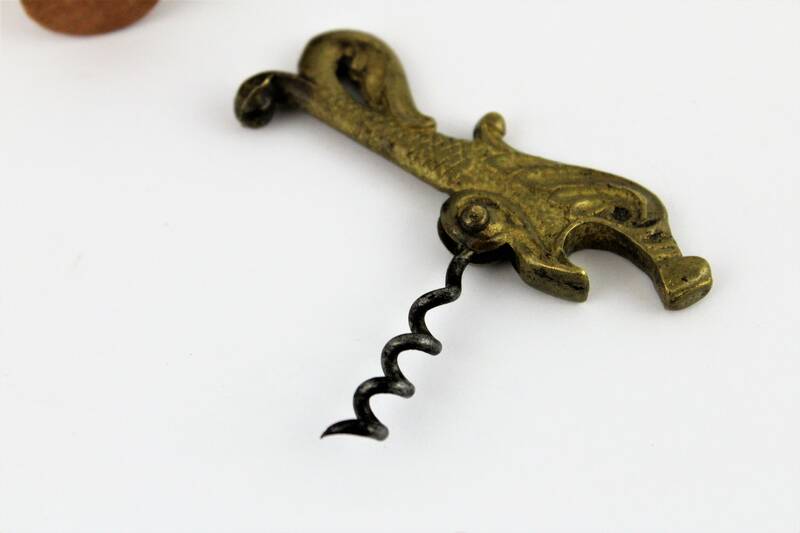 Condition is very good with discoloration on the steel corkscrew. 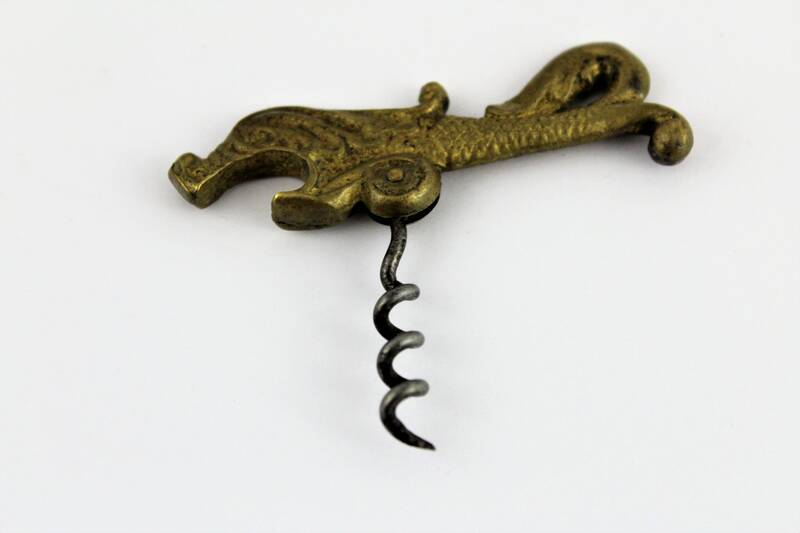 Condition: very good with discoloration on the steel corkscrew.